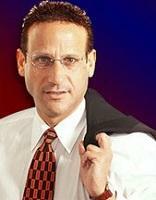 Our founder, attorney Herbert I. Ellis, is one of the area's most highly respected attorneys. In addition to his work at our firm, Mr. Ellis also served as a public defender for five years, and a local news station regularly called upon him for legal commentary. However, he is not the only talented attorney at our law firm. Our firm's three associate attorneys also have the respect of both their clients and their peers, and they have long records of success as litigators. Whether your legal need is due to a criminal charge or a personal injury or loss, the attorneys at the Law Offices of Herbert I. Ellis, P.C., have the experience you need on your side. They can guide you through the legal process and provide the support you need as you work toward your desired outcome. If you would like to know more about the legal services we provide, you can schedule a time to meet with us for a free initial consultation.